• Mr. Rescue Plumber will fix the plumbing or drain problems right first time. • Mr. Rescue Plumber will guarantee the parts and workmanship. • Mr. Rescue Plumber will give you the price before he will do any work. • Mr. Rescue Plumber is world's local plumber. • Mr. Rescue Plumber is licensed - Insured - Bonded. • Mr. Rescue Plumber will wear shoe cover till the end of job. • Mr. Rescue Plumber will leave the work area clean as it was before. • Mr. Rescue Plumber will beat any price by 10 % Guaranteed. • Mr. Rescue Plumber will not park the van on your driveway. • Mr. Rescue Plumber will respect your family and your property. People around the globe recommend Mr. 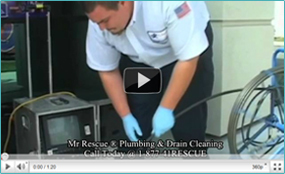 Rescue Plumbing & Drain Cleaning because Mr. 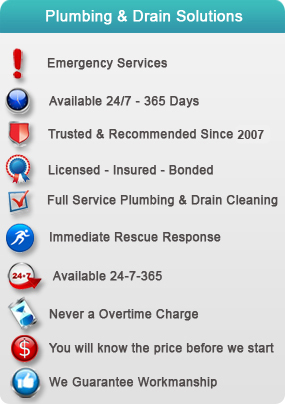 Rescue Plumbers are "Rescue Response Plumbers"
Regular Maintenance of Your whole house plumbing system.